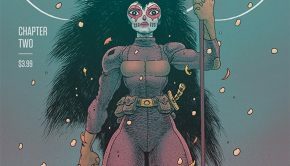 Summary: Another solid entry to a series walking the line between dark and light. 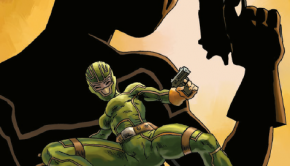 This issue picks up right where issue #3 left off. 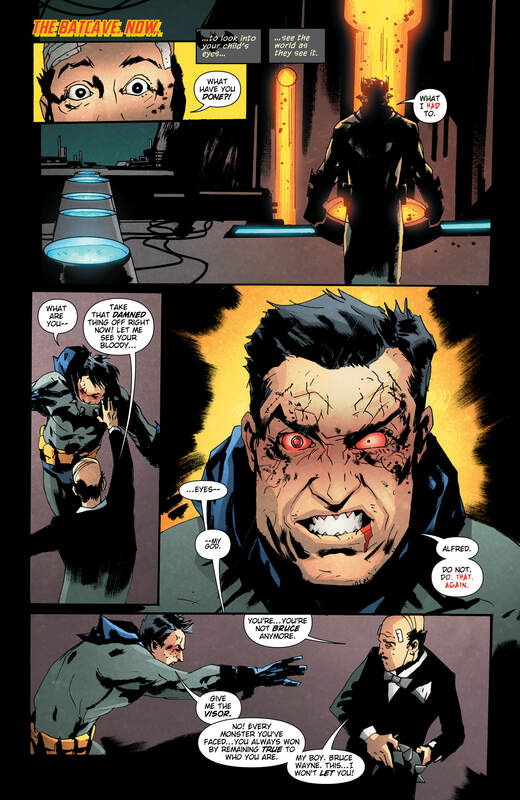 Batman has forged a visor similar to the one worn by The Batman Who Laughs, and appears ready to descend into madness. 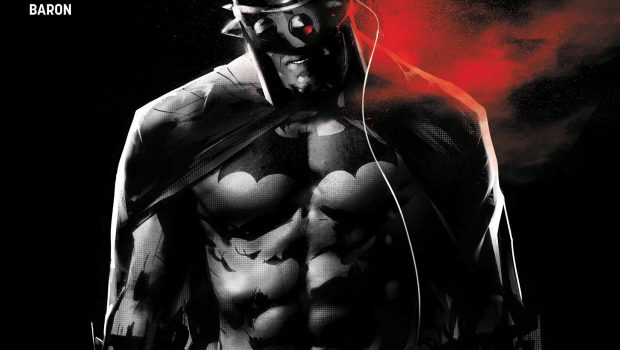 It’s been very clear that The Batman Who Laughs and The Grim Knight are pushing Batman to the very edge of reason. Combine that with Batman being infected with the Joker toxin, and things don’t look good for the Dark Knight. This is a good-looking Batman book, with art by Jock and colours by David Baron. 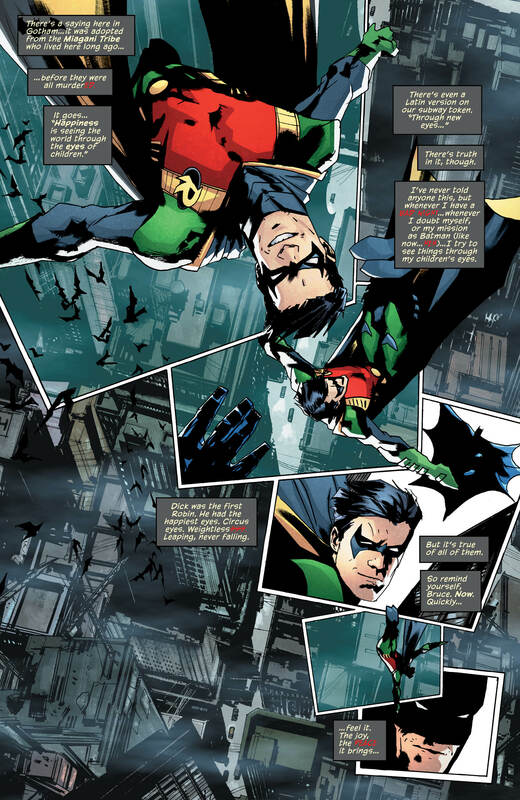 The duo does a great job in showing a Batman and a Gotham on the verge of destruction. We see it in Batman primarily in his facial features. He is slowly allowing himself to succumb, feeling that the only way to defeat The Batman Who Laughs is to learn how he thinks first hand. The Joker toxin shows in his glowing red eyes, and the insanity seems to be spreading from there. His eyes are always wide, almost manic throughout the issue. Despite this, he doesn’t have the evil or insane body language of the Joker or The Batman Who Laughs. Gotham itself looks beat up and run down. Almost as if the insanity that our villain is about to unleash upon it is resignedly expected. Even the waterways Batman is monitoring to ensure that Joker toxin isn’t dumped into have a dungeon-like feel. 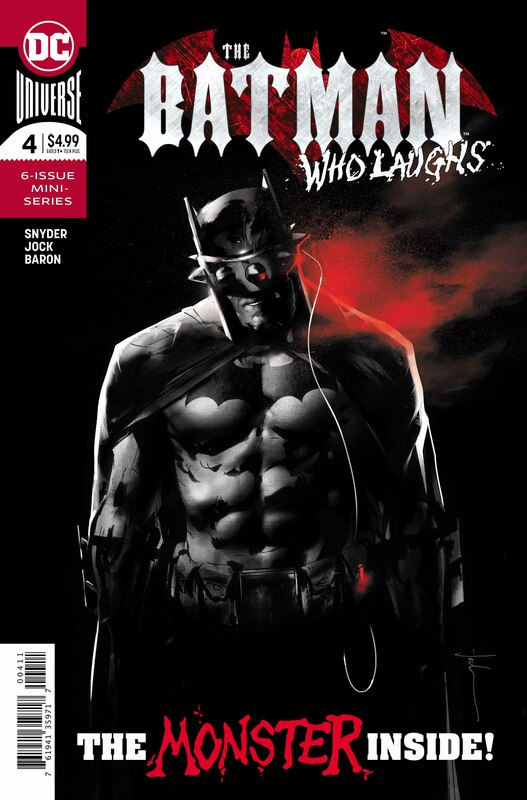 The fact that the regular universe Gotham feels like it is being corrupted by the mere presence of The Batman Who Laughs is a testament to an art team that knows the tone they’re aiming for and brings it to life. Batman is struggling with the darkness growing within him. 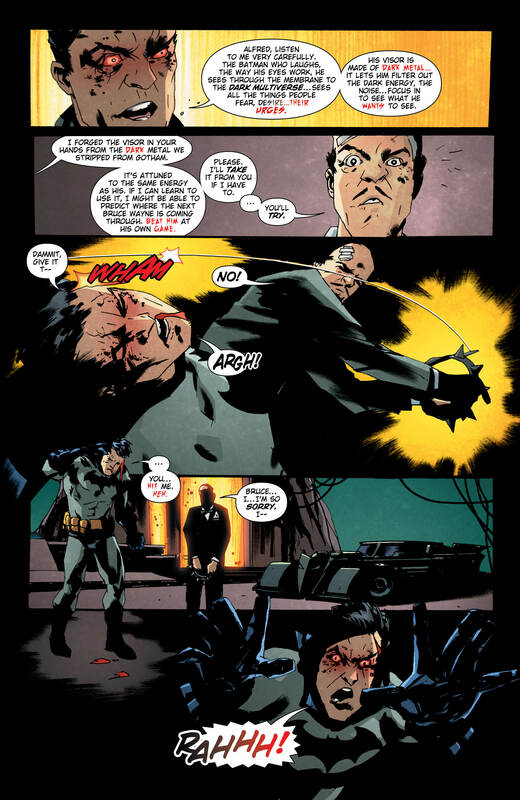 The issue opens with Batman being confronted by Alfred, who is determined to bring him back from the edge. He is relentless in the love for his charge. His unwillingness to give up on him brings Bruce back from falling all the way down the rabbit hole. Batman is convinced that he needs to see Gotham the way his villain does. Which he hopes will allow him to uncover his plan and stop it. The issue includes a couple great conversations with both James Gordon and the Joker, that help give more insight into how Batman is currently thinking. I feel that both of these conversations will have an important impact into how this series will end. The conversation with James helping him to retain or regain his humanity, and the conversation with Joker factoring into the final confrontation. The issue ends with both Batman and Commissioner Gordon facing potentially deadly situations. 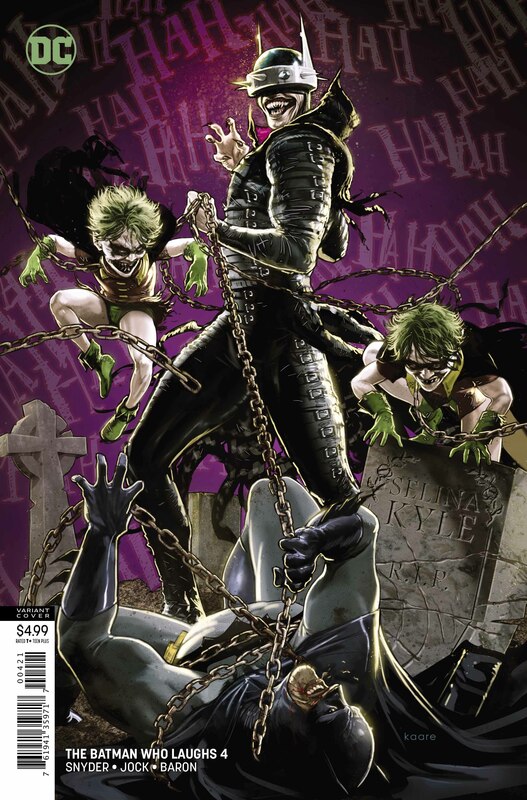 Batman at the hands of some guards, and Gordon at the hands of The Batman Who Laughs Robins. 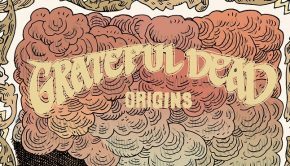 It will be interesting to see how these situations are resolved as Scott Snyder and team turn this series towards its finale. This is a solid book, and the story is very well paced. It is a series of what feel like very important conversations broken up by action. There is a lot here that feels like it is going to have a major impact in how the book concludes. I particularly enjoyed the art early in the book. Jock is showing how hard of a time Batman is having fighting off the Joker toxin pumping through his veins. The way his eyes are drawn and coloured really bring this to the fore. 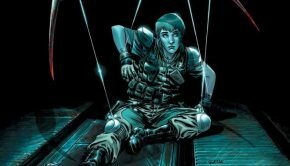 There is a lot going on in this book, and it is setting the stage for the conclusion as the series works to its close. Another solid entry to a series walking the line between dark and light. 4 out of 5 stars.